Mopani Copper Mines Plc is a Zambian registered copper mining company owned by Carlisa Investments Corporation (90%) and ZCCM-IH (10%). Carlisa Investments Corporation is jointly owned by Glencore Plc (81%) and First Quantum Minerals Ltd (19%). 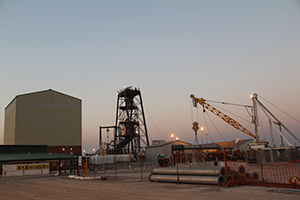 Effective shareholding in Mopani by Glencore and FQM is, therefore, 73.1% and 16.9%, respectively. 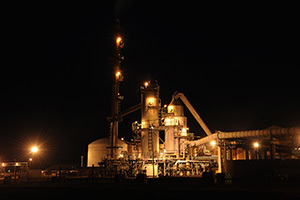 In April 2000, Mopani purchased assets of the Zambia Consolidated Copper Mines Limited (ZCCM) comprising of Underground Mines, Concentrator, Smelter, and Refinery at Mufulira as well as Underground Mine, Open Pits, Concentrator and Cobalt Plant at Nkana. 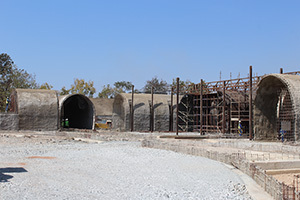 The story of the mine goes back to the early 1930s but in 2000, Mopani Copper Mines Plc worked on the acquisition of the ZCCM assets at Mufulira and Nkana mine. Currently, copper reserves are estimated at 151.9 million tons, grading 1.89% copper and resources at 335 million tons, grading 2.05% copper. Mopani has established a competitive advantage in its core business of mining responsibly while developing the capacity and livelihoods of the local people. 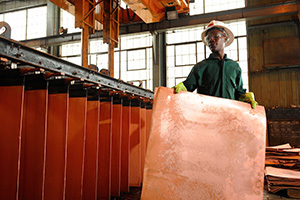 Mopani’s core objective is to achieve unit costs for copper in the second lowest quartile on the international cost of production curve. Mopani recognises health, safety and environmental (both social & physical) responsibilities as an integral part of overall business management. The company is committed to achieving excellence in its business operations through the implementation of health, safety and environmental management systems that are consistent with international standards. The Health, Safety and Environment policy supports Mopani’s commitment to sustainable development, to work safely in an environment that promotes the health and well-being of employees and to impact positively on the surrounding communities. Mopani has implemented the SAFEMINING strategy aimed at enhancing safety performance across all operations with an ultimate goal of eliminating fatalities and serious injuries as part of the company’s long-term business strategy. SAFEMINING means identifying fatal hazards, applying life-saving behaviours and protecting oneself and those close by at work and in the community. SAFEMINING came about because the company realised that a large proportion of its fatalities and lost time injuries occurred due to the size, depth and age of the mining operations. This is not to say that this programme does not cover all aspects of the company’s operations, from the Corporate Office (Central Offices) to the processing plants and even the schools and hospitals which it operates. Mopani has to focus on eliminating all incidents in all areas of its business with all 20,100 employees and contractors who enter its gates daily. This can be done, must be done, and will be done through implementation of this conscious and purposefully-developed safety strategy. 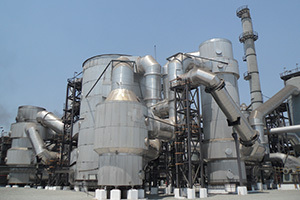 The company’s safety record has improved over the years although it still needs to continue building on this success to further improve its record. For the company, any incident is one incident too many. All employees must understand the key LIFESAVING BEHAVIOURS and FATAL HAZARD PROTOCOLS and identify those that pose the most risk in their workplaces. This is what SAFEMINING is about. This programme of SAFEMINING is so powerful because it requires each and every one of the employees to look out for their colleagues, whether they be casual workers, long-serving employees or contractors, and ensure that they are working safely and according to the laid down standards. This is the most powerful part of the SAFEMINING system. If the company has 20,000 pairs of eyes looking out for unsafe behavior, unsafe conditions and potential incidents, it WILL stop incidents in its operations. This is called VISIBLE FELT LEADERSHIP. Another important aspect of Mopani’s existence is the Company’s role in the lives of the people in surrounding communities. Mopani has made tremendous achievements in uplifting the living standards of the people through its Corporate Social Responsibility (CSR) programmes. Since 2000, the Company has invested over US$200 million in various community projects with the aim of improving the living standards of the people. This investment has greatly helped especially the towns of Kitwe and Mufulira in such areas as infrastructure development, water and sanitation, education, health, sports and entrepreneurship development, among others. Following this, the company has also created the Mopani Central Training Centre (MCTC) at a cost of over US$15million to train artisans in various engineering and mining skills. The engineering skills offered at the Centre include rigging, fitting and machining, instrumentation, auto electrical, plating and welding as well as training heavy mining equipment diesel mechanics. From the mining side, Mopani will complete the Mining training school at the end of 2015, which will be running side-by-side with the engineering school at the MCTC. The available mining courses for mining supervisors, mine captains and riggers, among others, will include Basic Operator and Normal Construction, Blasting Certificate, Technical Services, Health and Safety as well as Rescue Training. 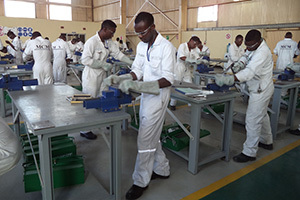 The Training Centre has now over 200 engineering students that are fully-sponsored for the 2014-2016 intake. 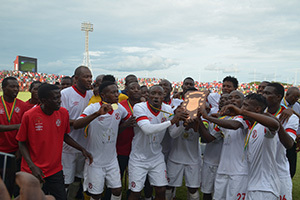 The sponsorship covers accommodation, learning materials, free meals and a monthly upkeep allowance. Through the Training Centre, Mopani is providing opportunities for grade 12 school leavers between the ages of 18 and 23, who obtained full School Certificates with credit or better in Mathematics, Science and English. The eligible students have to undergo a vigorous selection process based on merit. Apart from the training offering at MCTC, Mopani also provides all students with recreation facilities and above all, a guaranteed job on successful completion of the training programme. 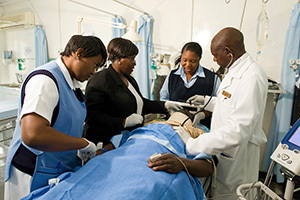 The Mopani Central Training Centre is fully accredited with the government’s Technical, Education, Vocation and Entreprenuership Training Authority (TEVETA). To counter for the skills gap in the existing workforce, over 2,000 existing artisans at Mopani are undergoing short courses at the Centre of excellence to enable them move in tandem with modern technology and innovations. A state-of-the-art Operator Training School using modern simulators to train on all major heavyduty equipment utilised at Mopani is another world-class installation. This facility offers an opportunity to train equipment operators to world-class standards, as well as take existing operators back through refresher training. By continuing to invest in more than 200 engineering bursaries at the MCTC valued at around US$60,000 per student, Mopani continues to innovate and invest heavily in Zambia to enable its operations move seamlessly into the future. We are very proud of the Mopani Central Training Centre, opened to train artisans in various mining skills, including rigging, fitting and machining, instrumentation, auto electrical, plating and welding as well as heavy mining equipment diesel mechanics. One important aspect of Mopani’s existence is the company’s role in the lives of the people in surrounding communities.